Everybody knows that removals are very stressful events because they need a lot of time, money, and effort. Certainly, it is very difficult to cope with moving by yourself, especially if you don’t have your own car or have too many belongings to take. Even having a spacious car won’t help you if you decide to move to another continent. In this case, it will be much better to turn to specialists and use the services of specialized companies for removals and storage in London. Our company Legend Removals is just one of them. When Do You Need a Storage Service? Specialists of Legend Removals are highly-qualified employees with more than 4 years of working experience in the field of moving. Our company offers its customers help in all issues connected with removals. We organize different types of moving: international relocations all over the world, European relocations, and domestic relocations within the UK. You need time to sort out some formalities connected with your new house. You need time to fix up your new apartment. Some of your belongings (works of art, antique furniture, etc.) need special storage conditions. You have no other variants where to leave your belongings before removal. Certainly, all these are very serious reason to make you look for a good place to keep your stuff safe. Moreover, there is one more reason not included in the list but nevertheless equally important: preparation of belongings for shipment and expectation thereof. Transportation options differ, and cheaper variants usually require some time to wait for the container to be filled. We offer two types of transportation: direct one, with a vehicle reserved specially for your belongings only, and part-load or shared transport, with a vehicle used to transport belongings of two or more customers to one and the same destination. Hence, until we find someone to move in the same direction, all your belongings will be kept in our storage in London. The Legend Removals team offers its clients different ways to relocate their assets: by sea, by road, or by air. Eventually, each type of transportation implies that all belongings will be packed into special containers. For the comfort of our clients, we offer various transportation options. For example, the Full Container Load (FLC) option, with entire container used to pack your belongings, or a Shared Container option (also referred to as Less than Container (LCL)). The latter case will help you to reduce removal storage costs because all transported things are first packed and sealed at your house and then delivered to our UK storage facility. Further on, your belongings are shipped together with the things of other customers in one container and then transported to the final destination. 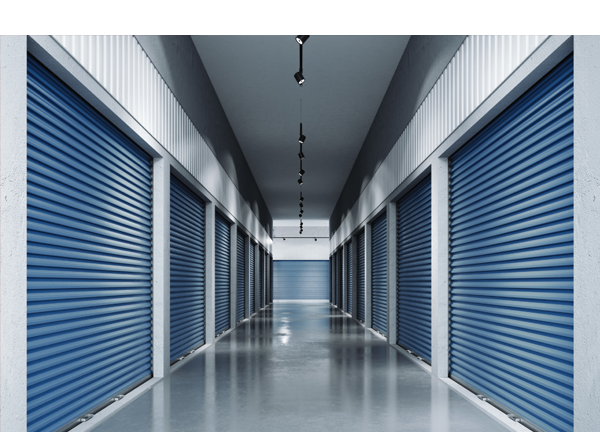 How to Choose among Storage Companies? Now you know in what cases you may need to keep all your possessions somewhere until removal to the final destination. Therefore, it is also important to learn how to choose a good place to store your belongings. Legend Removals offers a good removable storage for our customers belongings. If your removal implies long-term custody of your possessions, our storage room is at your disposal. Our storage has 45,000 square feet of floor space. Hence, we have enough place to keep different things safe. The presence of comprehensive CC TV. The opportunity of constant alarm monitoring. The fence around the entire perimeter of the building. Certainly, all these advantages make us the very first place to turn to if you need to leave your belongings somewhere, in a safe and secure place, before the actual transportation. Moreover, you may delegate the entire process of removal organization to our specialists who are able to transport your house with all belongings anywhere you want. Thus, you may organize your moving to another country or even another continent without any trouble – use this option to enjoy the relocation!